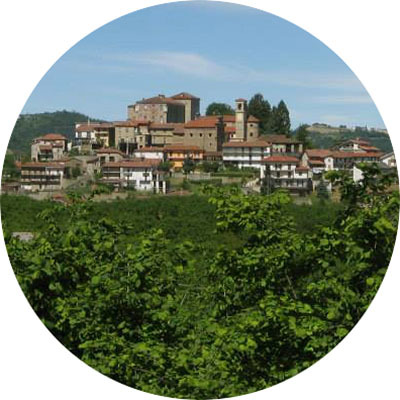 A tour in Alta Langa amongst hazelnut groves and glades overlooking the sea…! 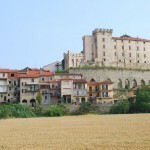 The itinerary starts at Cravanzana and leads up to Mombarcaro for about 16.5 km up to the crest of the hill, with intermittent beautiful scenery, at 341 m ASL. 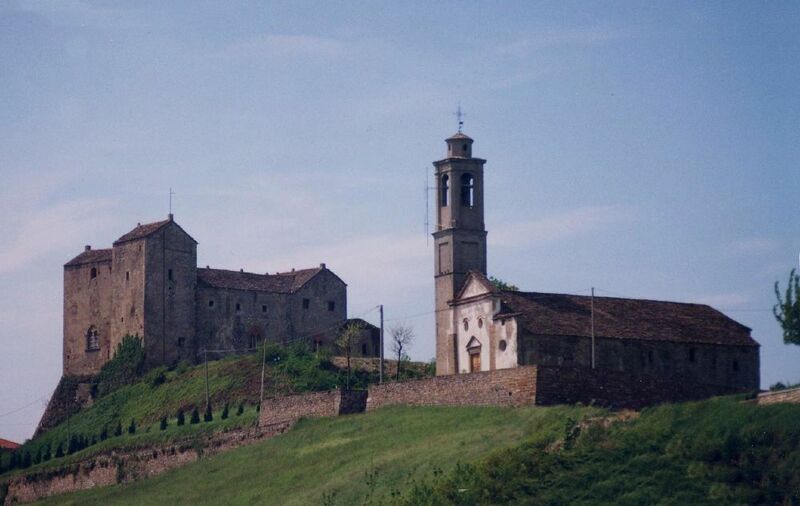 The hills that are somewhat difficult are the Monesiglio a Prunetto: 6,6 km at 330 m ASL and the last part of the climb from Ponte Levice to Cravanzana: 6,3 km at 195 m ASL. 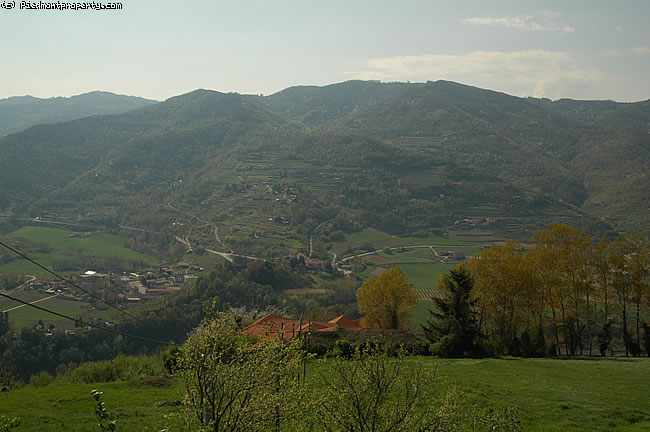 All at high altitude and incredibly panoramic, on the crest of the hill to the right of the Bormida valley, the Prunetto Levice stretch, which drops slightly (- 155m for 6.2 km). 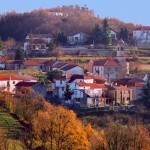 The landscape features hazelnut groves alternating with woods and glades. 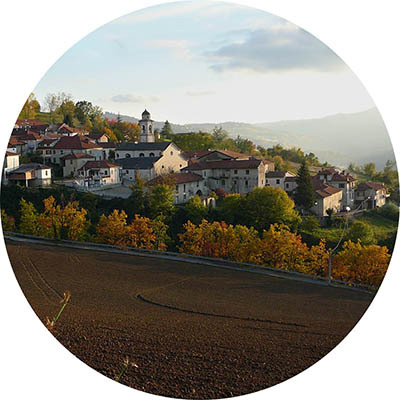 We start at Cravanzana, a town located on a small cliff, situated on the right bank of the Belbo river at 555 m ASL and worth highlighting is that it’s one of the most important centers that produces hazelnuts. 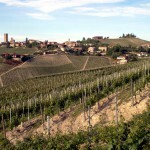 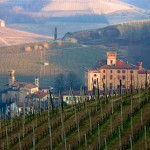 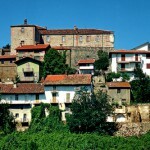 We continue along the crest of the hill on a gentle slope, which offers scenic stretches, towards Feisoglio (4.5 km. 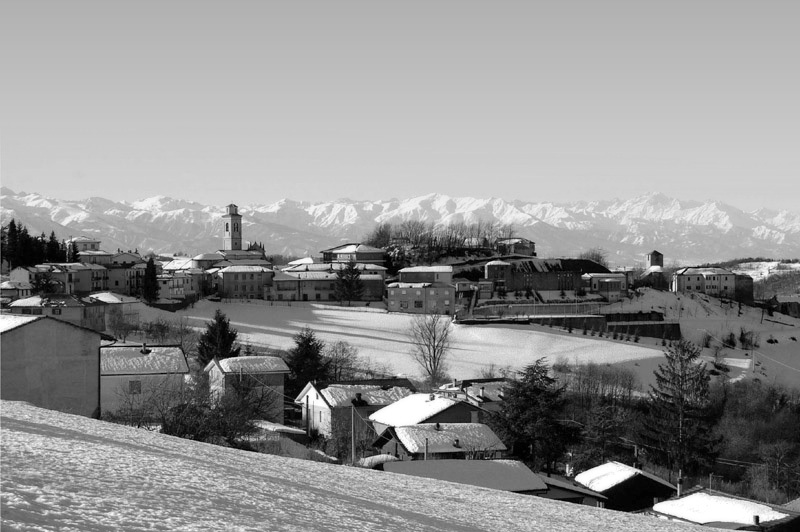 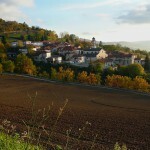 ), a small village located 700 m ASL where the cultivation of hazelnuts began in the ’30s. 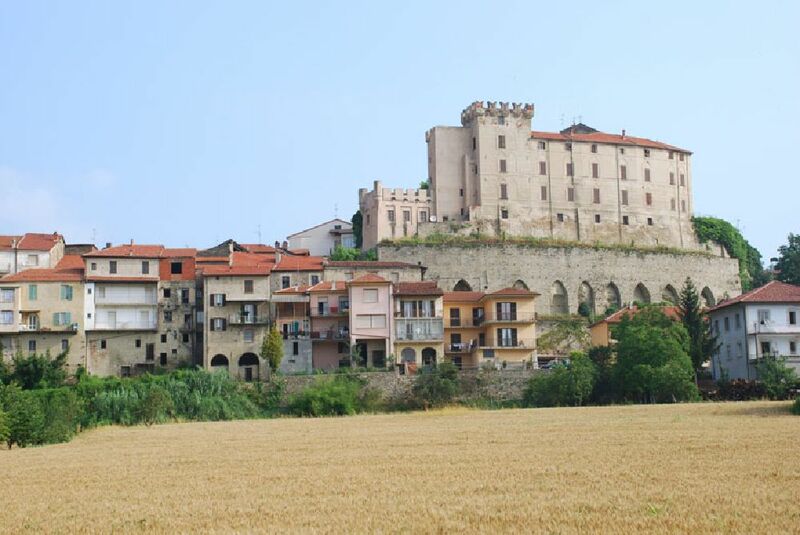 We then reach Niella Belbo – (5.3 km – 785 m ASL) located in a picturesque position, in the Belbo valley and next to the villages on the opposite slope. 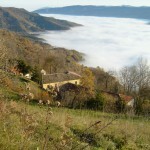 Along the ridge of the hill on the right side of the Belbo river we reach Monbarcaro (6,7 km) which is located 896 m ASL. 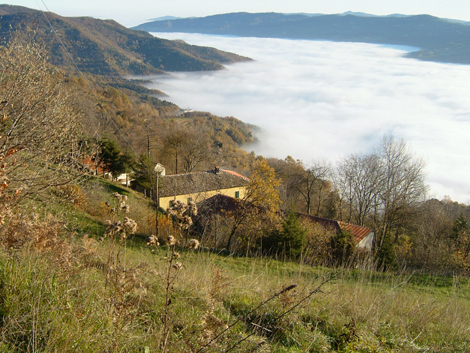 It’s the highest town in all the Langa and on a clear day, the view offers a glimpse of the Ligurian Sea (Monte dell Barche, where you can see the ships on the sea). 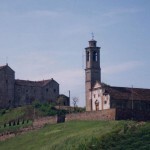 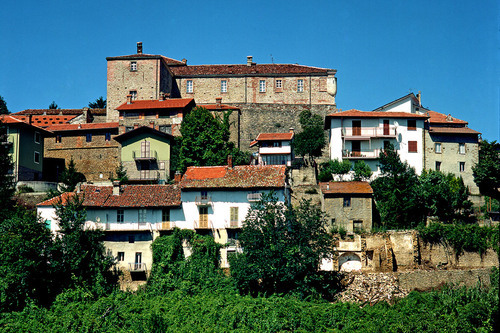 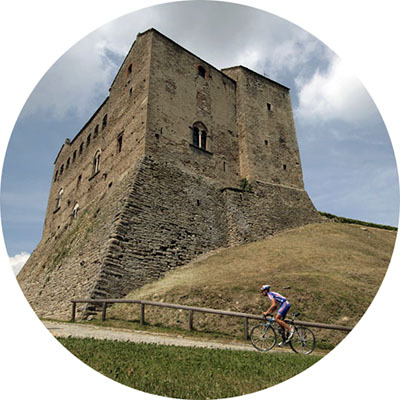 From Mombarcaro we ride down the Bormida Valley to Monesiglio – (8.9 Km – 372 m ASL) which is nestled on the lower slopes of the hill that separates the Bormida Valley from the Uzzone Valley and is dominated by the majestic castle. 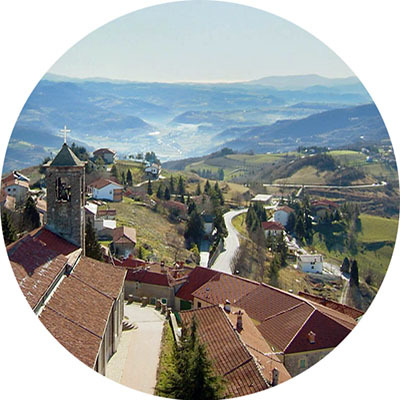 We then ride up to Prunetto – (6.6 km – 702 m ASL) located on the ridge that divides the Bormida Valley from the Uzzone Valley and is home to one of the most important architectural and historical complexes in Alta Langa. 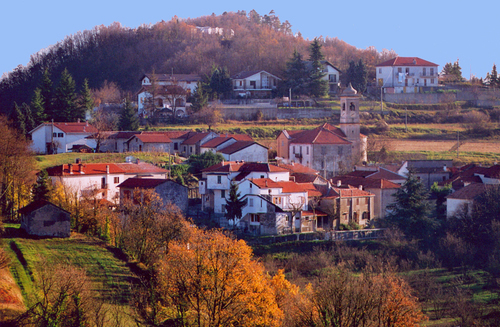 From Prunetto we proceed slightly downhill towards Levice (6,2 Km – 547 m ASL) – and then downhill again in the Bormida Valley, from the Frazione di Ponte Levice (6,2 Km. 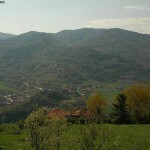 – 360 m ASL), and up to Cravanzana (6,3 Km).